Bubble Woods is a new bubbleshooter that happens in the woods. You must score as much points as possible in 60 seconds! Score enough points to go to the next level. There are 100 levels in total so you are not bored soon! Match 3 ore more bubbles to score points, make big combinations of multiple bubbles to score massive points. You can use boosters to score more points or to finish difficult levels. You win a few stars every game , use these stars to buy power ups that help you later in the game. Be sure to use the power ups wise, there will be a few difficult levels later in the game. You can select several boosts, unlock higher levels for more boosts to use. 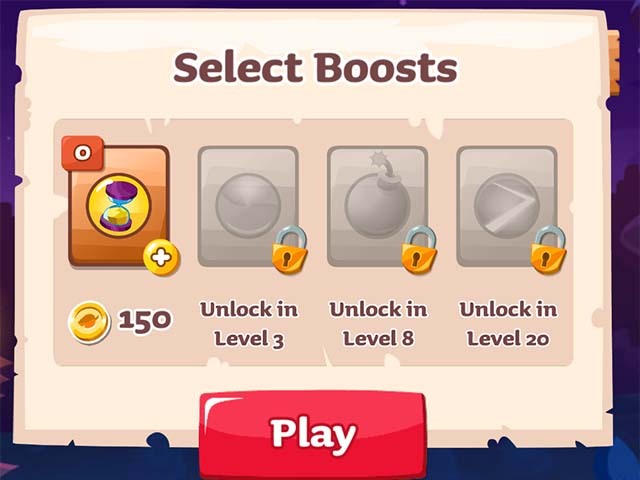 Unlocking a boost is done with coins that you save from finishing levels in bubble woods. This is the main game of bubble woods. 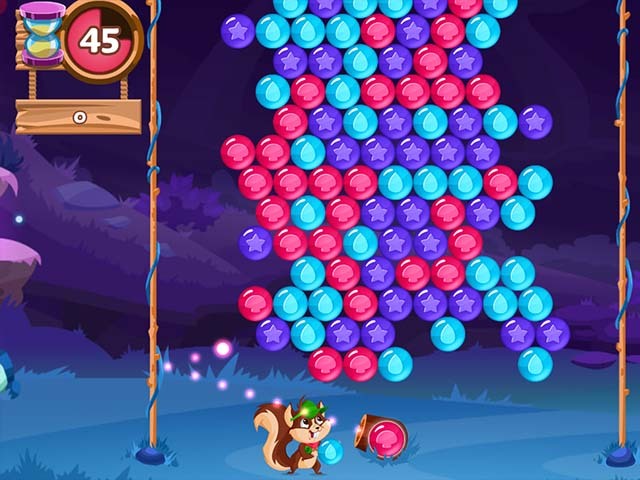 Help the happy squirrel to shoot all bubbles.